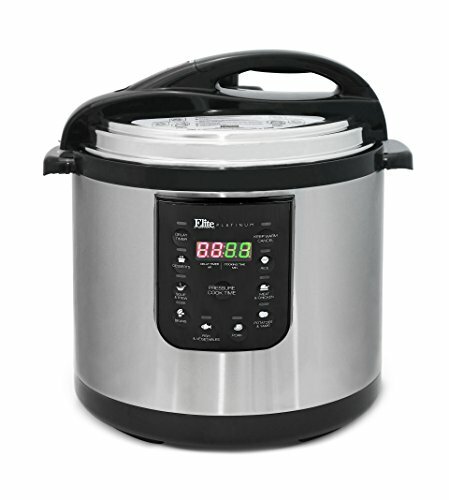 The Clipso 6.3-quart pressure cooker from T-Fal is great for small household. 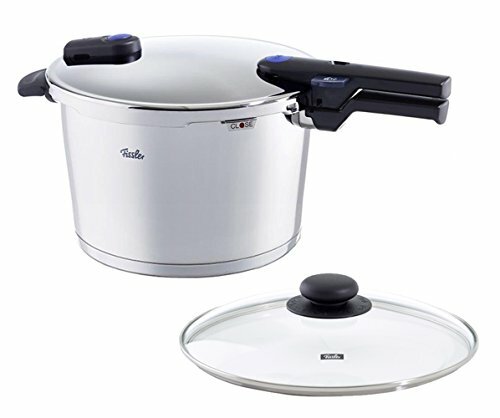 It is very user-friendly, featuring one- handle lid that helps the consumer to conveniently open and close the pressure cooker top. 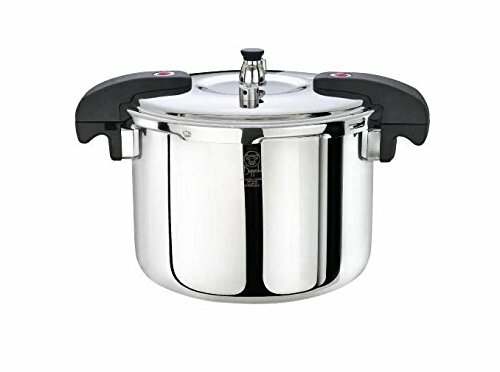 With this pressure cooker, you don’t have to deal with the struggle of aligning the handles of the cook pot and the lid for it to open and close, like with most pressure cookers out there. Actually, the lid release and lock feature is something that current owners are impressed with. Another advantage is that the unit is dishwasher safe, so cleaning up any mess is a-walk- in-the-park. It includes one high pressure setting that comes with an additional pressure button to inform you if it’s safe to open the lid. 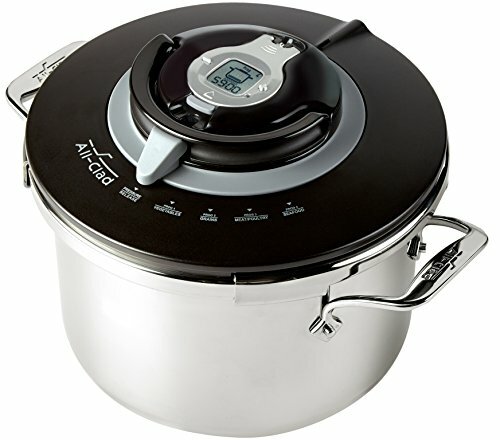 Other safety features such as when it’s fully pressurized, the lid will always remain closed and when cooking is finished and there is no steam left, the lid can be opened with just a push of a button. That way, the speed release valve will allow the user to securely relieve any pressure and steam very quickly. You will find the valve located on the lid and the durable, well-built handles are located on the side to make it conveniently portable. In order to maintain the efficiency and the performance at top level, it is recommended to replace the rubber gasket at least yearly. That way, your cooking will be top rated at all times. 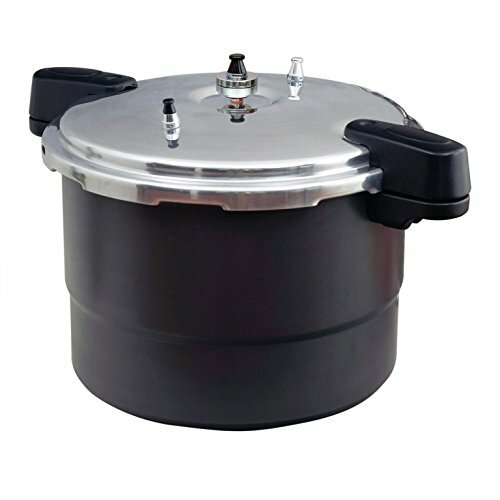 Please bear in mind that the Clipso pressure cooker will not work as a canning device but, due to its portability and weight, it can be used on all types of cooktops, even induction. 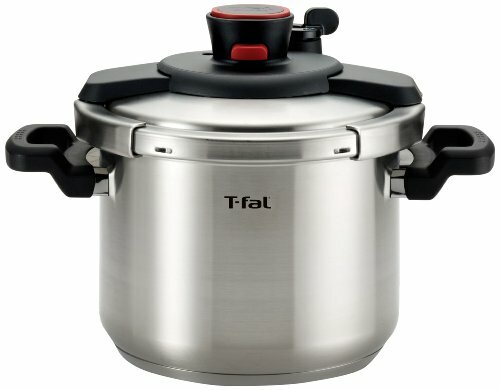 Basically, this stainless steel pressure cooker by T-fal is designed as an innovative cookware that pretty much helps you to get top results easily than using the traditional model. 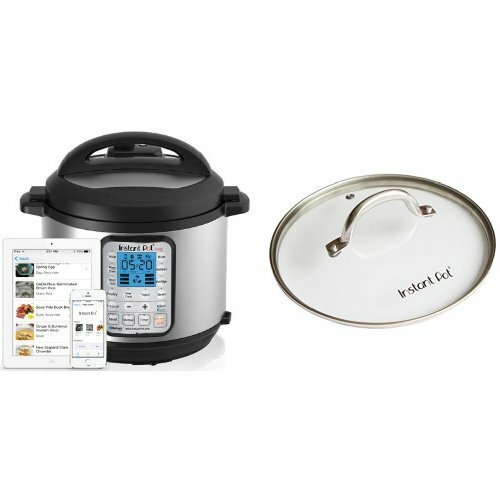 You’ll be able to enjoy your old pressure cooker recipes with the Clipso due to the fact while the pressure cooker designs are always improving, the pressure cooking methods are generally the same. 2 Why is the T-Fal Clipso so great? 4 What are customers saying? Why is the T-Fal Clipso so great? It basically boils down to four points. First of all, the T-Fall company is respected innovator in cooking equipment for well over 60 years. Second, the 6.3 quart capacity is the ideal size for a small family, a couple or one person. Third point and probably the most important one, safety! 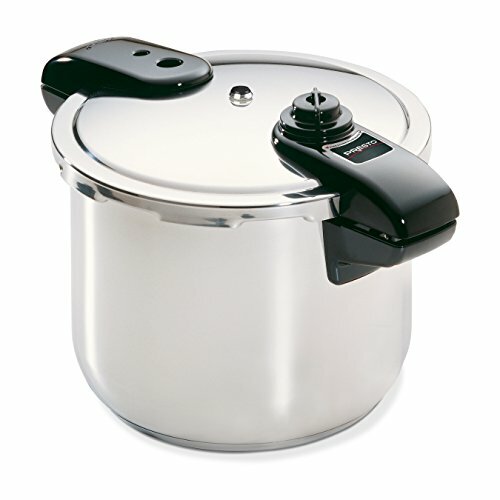 The Clipso pressure cooker includes many safety functions. For example, the lid securely locks when the pressure cooker is pressurized and you can safely open the lid once the pressure is released. With the pressure relief valve, the operator can release pressure and steam quickly and easily. Another safety feature is the riveted handles that are located on the side of the cooking pot that make it very portable. The fourth point is the structure. Durable, sturdy stainless steel constructions make the pot and the steam basket cook effectively, evenly and it is very easy to clean after use. 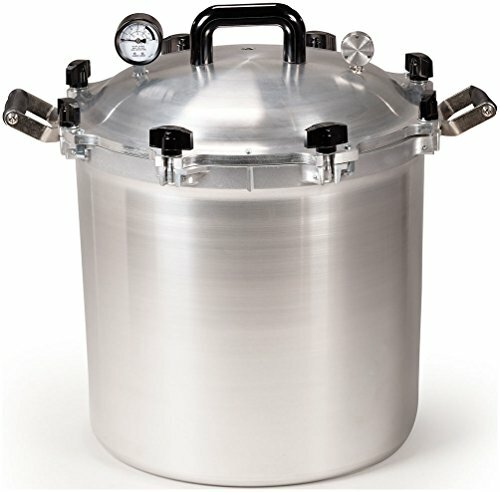 There are many benefits of using a pressure cooker in the kitchen. To start with, steam and increased pressure are the main factors that shorten cooking times significantly. That way, you are able to prepare meals in minutes instead of hours, or in some cases a whole day. Secondly, you have the benefit of being able to use super-heated steam instead of using boiling water to cook. Additionally, apart from being able to cook delicious meals in no time, using a pressure cooker will not make your food watery like when you boil food in water. 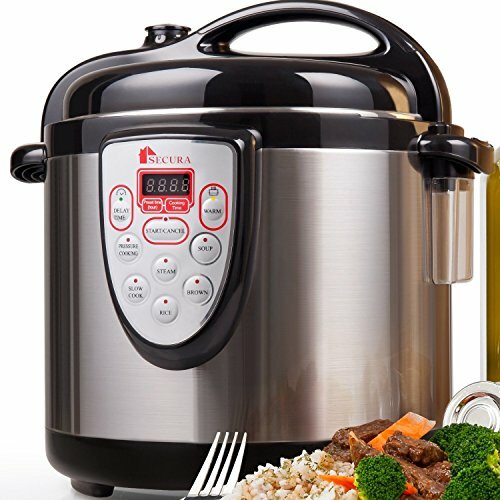 Yet another additional advantage of implementing pressure cooker in your kitchen is the way it operates to preserve all the vitamins and minerals while you cook. The fact is, anytime you boil ingredients, some nutrients and vitamins will be boiled away from the food and end up in the cooking water. Having said that, if you boil the food in water, you are basically wasting all the nutrients and important vitamins. Therefore, using the T-fal, for example, will keep the flavor of your meal and also the important healthy components in the food. Overall, current owners give the T-fal the very best recommendations. Some mention that they would prefer a bigger unit. Most previous brands are somewhat larger and users have become acquainted with using up to 8-quart capacity and wish T-fal had more size capacity. On the other hand, others love the size and actually prefer smaller size. Absolutely everyone loves having the ability to control the locking lid mechanism with just one hand. With other old pressure cookers, the user had to align the lid and base and twist the top to secure the lock. However, the Clipso pressure cooker has an innovative and superior design that enables you to put the lid in any direction just by using one hand. Another feature that consumers greatly appreciate is the ease and safety of the relief valve that lets the steam out safely and effectively. It is safe to say that the Clipso surely is built to last for a long time and it also comes at an extremely appealing price. Safe to use with any type of cook-top, even induction. Safety mechanism that won’t allow you to open the cooker when under pressure. 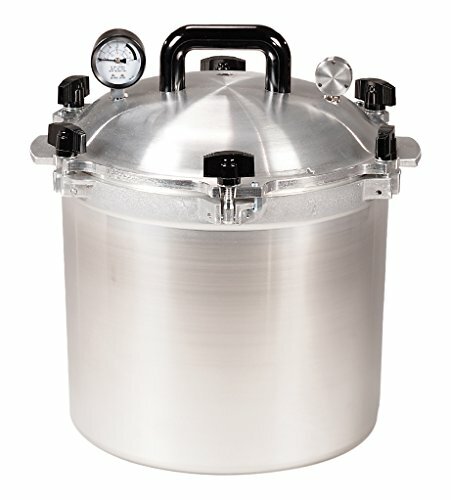 In the end, the Clipso Stainless Steel Pressure Cooker is a quality product, smartly designed pressure cooker. It does not come with a Led-screen or an automated control panel however for quite a few people, convenience and ease of use is most of the time the best option. 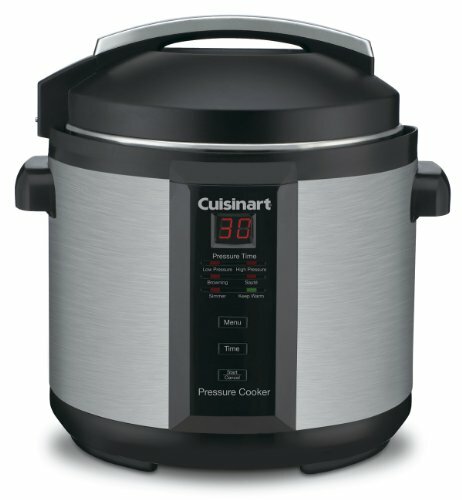 In case you are looking for a pressure cooker and steamer, this is the perfect solution that might fit your cooking needs. It includes state of the art lid that is extremely practical and adds a lot of functionality to the design. 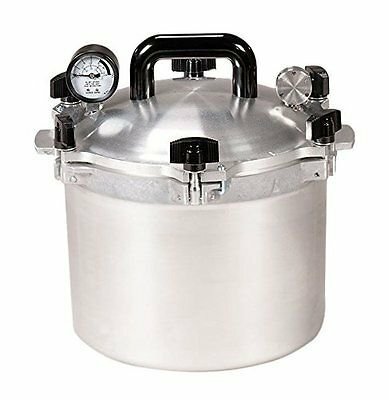 With this new design and security measures in mind, it is actually safe to conclude that the Clipso is one of the easiest and safest pressure cooker out there on the market. I can guarantee that once you go pressure cooking, you won’t go back to traditional cooking again. 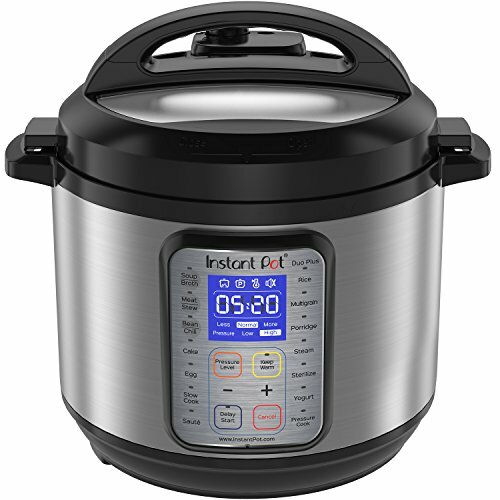 Therefore, if you really want to spend less time in the kitchen, then I urge you to consider the T-fal Clipso stainless steel pressure cooker cookware because you get so much more than a pressure cooker for your money.